Do you miss all those great shows from around the time of the poker boom? Do you wish they had kept High Stakes Poker or Poker After Dark on the air? Me too. Luckily I’ve managed to find them at the new PokerTube.com site. PokerTube’s owners have completely revamped the site, optimising it for mobile devices so you can watch your favourite shows on the move. They’re also promising plenty of live streaming in 2014, including the Irish Poker Open. You can also find everything you need to improve your own poker game, whether you are a beginner or someone who fancies themselves as a pro. The new PokerTube store features everything from t-shirts and hoodies to books and training videos. 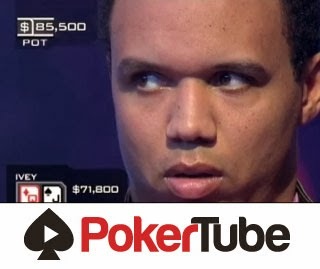 Poker doesn’t have to be serious all the time, and sometimes we just want to sit back and watch our favourite players in action, and at PokerTube.com you can still catch your favourite shows any time and anywhere.